Michael H. Arve was born in Szeged, Hungary and spent his early youth in Berlin, Germany. In 1951 he immigrated with his family to Rochester, New York. He attended Nazareth Hall Cadet School then graduated from Monroe High School and attended Monroe Community College. Currently an Artist in Residence at MuCCC (Multi-use Cultural Community Center, Michael has been involved in both professional and community theatre since his early teens. As Artistic Director of the theatre program for The Cobblestone Arts Center (Victor NY) his production of "The Belle of Amherst" garnered State, Regional, National and International awards and acclaim. From 1991 to 1993 his Masque Theatre had the only resident Dinner Theatre in a Stouffer Hotel in the country. This highly successful venture lasted until Stouffer sold their hotel to the Radisson Corporation who was not interested in continuing the venture. In Tennessee, he was the Co-chair of the Tennessee AIDS Council's Steering Committee (a statewide organization. He was a member of Regional AIDS Council (Knoxville) where he served on their needs assessment committee. He was invited by the Cleveland Clinic to present a Position Paper on the therapeutic value of theatre. This Theatre as Therapy program was accepted as three-day workshop at the AIDS, MEDICINE and MIRACLES conference in 1997. While in Tennessee he served on the following committees: The Knoxville Area Theatre Coalition. (Co-chairperson), Tennesseans for the Arts Commission, Knoxville Museum of Arts Holocaust Exhibit Community Advisory Committee, Appalachian Theatre Festival Project Committee, Community Shares (a grass roots funding organization.) and the Governor's Conference on the Arts. 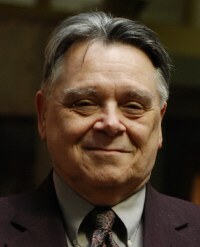 In 1999 he returned to Rochester and, once again, became heavily involved in the Rochester community theatre scene and as of June 2011 he has directed or produced close to 50 plays. He is also the Director of Development for the Greater Rochester Repertory Companies. (GRRC). 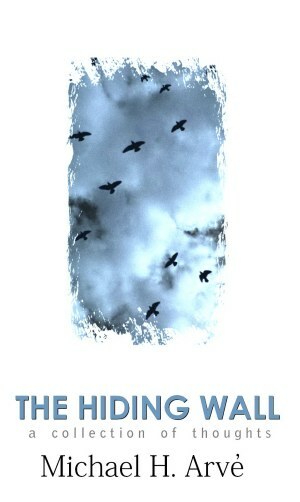 The Hiding Wall is a 72 page hand-stitched paper book with spine - $15.00.